Republican Gov. Ron DeSantis is encouraging state universities to approve resolutions that protect free speech on campuses. TALLAHASSEE, Fla. (AP) — Republican Gov. 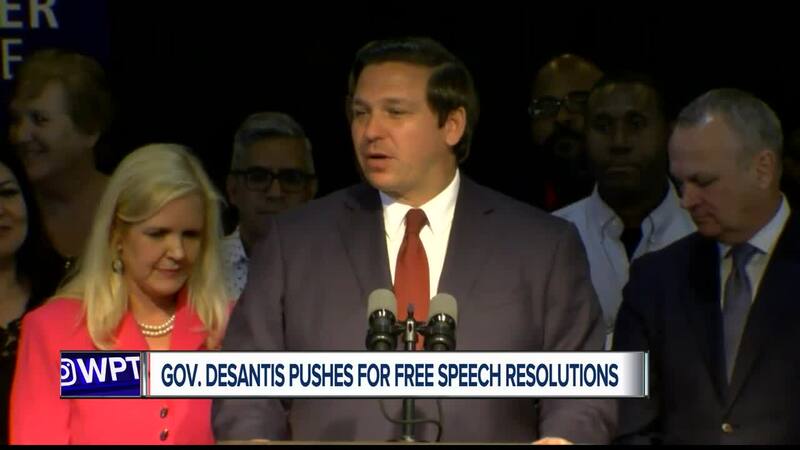 Ron DeSantis is encouraging state universities to approve resolutions that protect free speech on campuses.